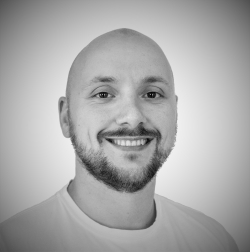 Michael Van Horenbeeck is a Microsoft Certified Solutions Master (MCSM) and Office Servers & Services MVP from Belgium, placing him amongst a handful of experts, world-wide, to hold both the MCSM certification and MVP award at the same time. He has helped customers all over the world to design, implement, migrate and secure Exchange and Office 365 through various roles for different employers, and more recently as an independent consultant and “The Collective“. Michael is a dynamic tech enthusiast, specializing in a variety of Microsoft technologies including Office 365, Exchange and (Azure) Active Directory, and he is highly skilled in all things hybrid –that is how he got his nickname “Van Hybrid”. Besides writing about technology for a variety of tech websites, Michael co-authored several books including the first four releases of ‘Office 365 for IT Professionals’ e-book along with Tony Redmond and Paul Cunningham. Michael also loves to talk about technology and regularly speaks at various international conferences like Microsoft Ignite, TechEd, Tech Days and IT/DEV Connections. You can follow Michael via Twitter (@vanhybrid), or connect with him on LinkedIn. For professional services inquiries, please visit this page. ik heb vorige week je boek (ebook) in pre-order gekocht op http://www.packtpub.com. Kan je me vertellen wanneer ik het effectief kan downloaden? Alvast bedankt om het boek gekocht te hebben! I hope you’re doing well. I’ve used your powershell script reference in my powershell script and i hope you will not mind for that 🙂 In case if you’ve any issue please feel free to contact me at rizi.jbutt@gmail.com and i’ll remove the reference if you want to. My PS script is uploaded on technet https://gallery.technet.microsoft.com/Setup-Exchange-2013-364bff4a and you can take a look at my script as well. I’ll be updating my script in future to support more functionality around virtual directories. Thanks. By the way my blog URL is mstechtalk.com and it would be a pleasure for us if you can write on our blog too. Looking forward to your response on my gmail address. Thanks. sorry for the belated reply. I don’t mind you referencing my script, you’ve given credit for it; so that’s fine. Firstly, your Exchange Hybrid book is sensational. Plenty of O365 books on the market, but nothing comes close to this for Hybrid configuration. My question is: are you able to repost your 6th November 2011, article from be-com.eu “How to change the ADFS 2.0 URL in a deployment used with Office 365” please? The inline images are no longer available. Sure thing. Give me a (few) day(s) to get this done!